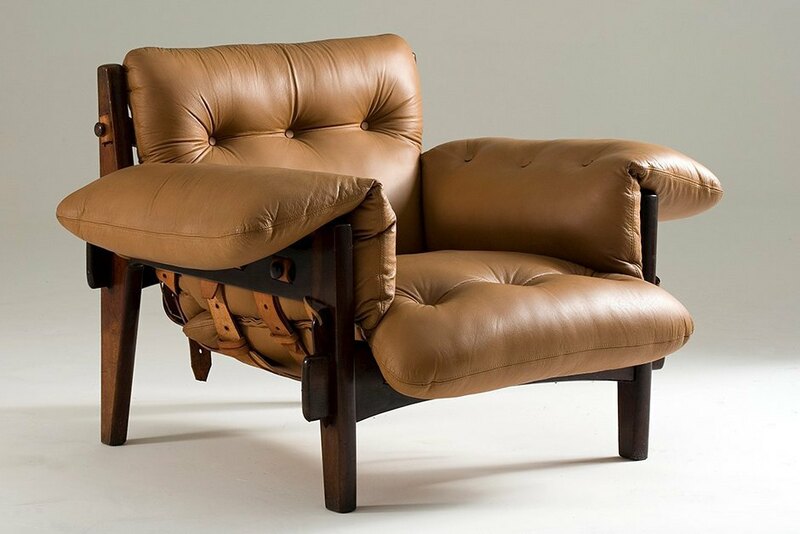 If you've never heard of the prolific Brazilian designer Sergio Rodrigues, documentarian Peter Azen is here to change that. To many, art belongs on walls and museums, in frames and glass cases. But for Sergio Rodrigues, the legendary Brazilian furniture designer, the spaces you inhabit and interact with can be a priceless piece. Since the 1950s, Sergio’s work has filled households around the world. From his legendary Mole chair, which was the prize of many Brazilian homes, to Xibo, one his final works, Sergio changed the way people enjoyed company, told stories, and unwound at the end of the day. He had a direct effect on the way the people of Brazil lived and inspired many in the process. Sergio, who passed a year ago, and his work continue to energize architects, designers, and cartoonists today. Though many outside of South America may not be familiar with his work, director Peter Azen aims to change that. In Xibo, Azen’s latest documentary, Sergio’s story comes to life with interviews from friends, family members, designers, woodworkers, and everyone in between. Busy finishing the film in Germany, Azen talked to us about growing up with Sergio in Brazil, his documentary, and Sergio’s impact on Brazil and the world at large. Graduated as an Electronic Engineer from the University of Surrey, England. As a film student Peter was awarded the Paul Ronder Memorial Award, which is presented to a graduated senior who demonstrates outstanding achievement in film studies and/or film production. In 2012, Peter finished his first feature documentary called “U.S. of D.I.Y.”, which captured the DIY punk scene across America in 2010/11. He is also a co-founder and Creative Director of Illium Pictures, a collective of award-winning writers, directors, editors, producers and cinematographers, based in Brooklyn, New York. Peter’s films have been screened in independent theaters, museums and galleries throughout the U.S., as well as in Brazil, Germany and India. H&F: Tell me about the documentary. Who is Sergio Rodrigues and why are you making a movie about him? AZEN: To answer that I’ll have to take you back. When I was six, my parents lived in a countryside house, so they went to Sergio [Rodrigues]. He used to be a very famous architect and furniture designer in the 60s and 70s. During the 80s and 90s, he disappeared a bit. He was still working non-stop, but he wasn’t as popular. So they did this house with him, and he used to sit with me and my brothers, and also my parents, and would talk about the perfect house for us. He created this really colorful and crazy house for us. And I grew up in this house, and he had one right next to ours, like 15 minutes by car, and he and his wife and daughter would come over all the time. So I grew up Sergio around me and influencing me in a lot of ways. I used to go to my friends’ house, which were these colonial houses, Portuguese influence, like white houses with blue windows. And my house had a wall that was practically all glass looking toward the forest. There were tons of colors, and the stairs were really insane and our room had this huge, lofty space. It was just a dream house for kids. So I went to Brazil, the first time, three years ago and shot a lot of interviews with him, but at that point his daughter had terminal cancer, so we couldn’t shoot much, because he was really involved with her, and his daughter was like his right hand for 20 years. When we were about to come back a second time to continue shooting, his daughter passed away. So we had to wait for a year and a half. We went back when he was back in the office and shot a little bit more, but it wasn’t enough because he was sick. After his daughter died, his health started going down. Then he passed away. Today, most of the furniture designers in Brazil are hugely influenced by him, so Sergio is a really important person in the history of Rio de Janeiro. He was also there at that point where music, like Bossanova, was starting, and fútbol, the years of Pelé, the golden years of Brazilian fútbol. He was a very influential person in that period. He’s someone whose story should be told. "As Oscar Niemeyer is for architecture and Lucio Costa is for urbanism, he is for furniture design," Brazilian Journalist, Zuenir Ventura has said of Rodrigues. But Rodrigues did more than design furniture, he was also a prolific architect, draughtsman and interior designer over the course of his 87-year lifespan. He is primarily known for bringing Brazilian influence and materials to modernist design and his work has been featured in dozens of exhibitions around the world. H&F: Knowing him and his family so well, was it hard to distance yourself from the film? I have a few editing consultants—I directed the film, I’ve known Sergio since I was six—so it’s not only my eye, because that can be a bit biased, which can be harmful to the film because not everyone knows this guy. I went and showed it to a few people. A friend of mine, Fabio Andrade, who is an incredible film critic, he’s one of the editing consultants, said that I need to work the end again, because now that Sergio passed away, I need to change it. I went back to Brazil with my DP from New York, and we shot a new ending. The film is a really personal film. Sergio was pretty open with the people he knew really well. The focus of the film is really well balanced between his life and his work. H&F: Is he a household name throughout Brazil? AZEN: He is—mostly, in Rio de Janeiro. Like anyone in Brazil that is into furniture knows Sergio. In Rio, though, he’s a really well-known person. His family is really influential. The Maracanã Stadium, the biggest fútbol stadium in Brazil, which also hosted the 2014 world cup, is named after his uncle Mário Filho. He comes from this family of artists, like everyone knows his family. A lot of people don’t associate him to this family because he’s so different as well. His father was a very influential cartoonist and his father died because of a cartoon he did, basically, he was killed. I think the cartoonist was more of a hobby, but now there are books about his drawings I’m bringing that link in the film. In Rio, his most famous furniture, which is the Mole chair, is probably the dream of most people in Rio—to have that chair in their living room. 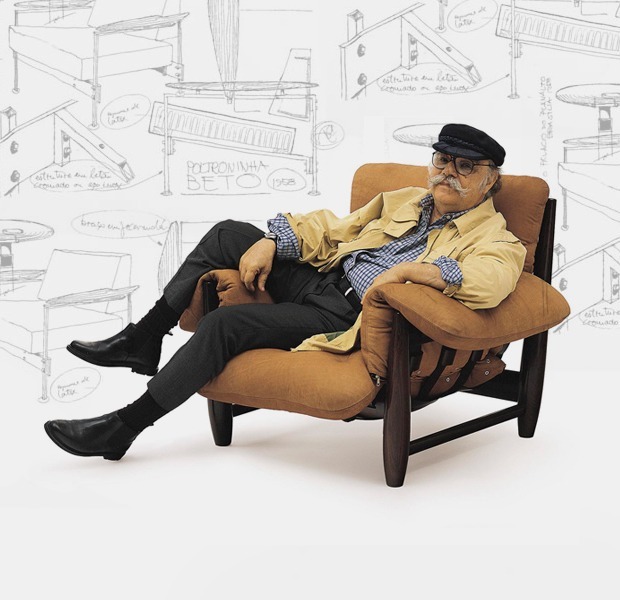 He’s been so many things: a cartoonist, a furniture designer, and architect. At some point, he had a restaurant as well. H&F: Did he pull those same architectural ideas for his furniture? Was there any crossover so the pieces kind of fit together? AZEN: He started as an architect, and then, he saw that no one was doing the furniture for inside the places, so he started doing the furniture and became famous for the furniture. He works a lot with wood, color, and leather and wanted to work with Brazilian products. He was using Brazilian wood and Brazilian leather, and his houses are all made of wood and they’re very modular. They look like pre-fabricated houses—they’re constructed in modules. H&F: Was his work popular in America or outside of Brazil? AZEN: It was more popular in the 60s in Europe. He opened this store in California, and for a while, he was selling a lot of furniture there. Then he sold his stores, and the people that took over kind of ruined everything. But his store, Oca, it was the most influential furniture store in the history of Rio de Janeiro. He became famous because in the late-50s, he did the Mole chair and that won the prize of Cantù—Cantù is the city in Italy right next to Milan. It was kind of like the Oscars of furniture design in the 50s and 60s. That’s when he became really famous, and his furniture started being sold outside of Brazil. There’s a store in New York called Espasso and they sell his furniture. They have a whole floor of only his furniture. H&F: Are people still producing it or are these originals? AZEN: There are two types of originals: vintage and the newer ones that they produced until he died last year. 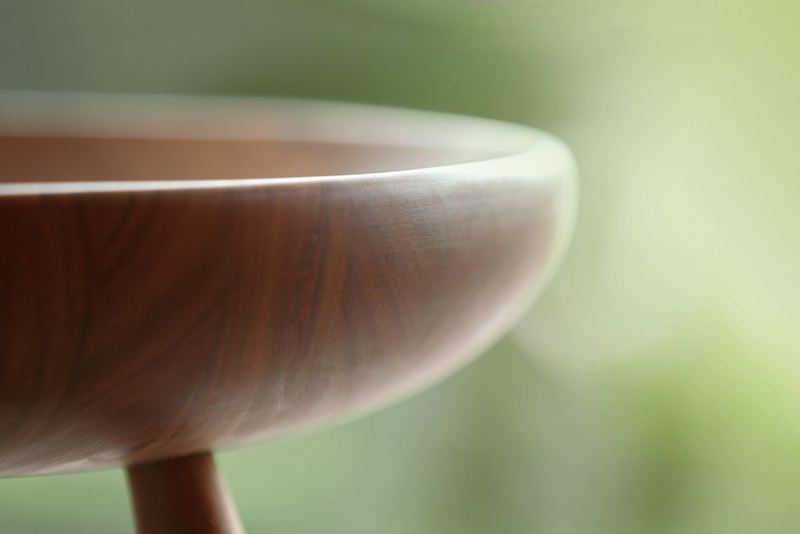 The vintage are done with Brazilian Rosewood, Jacarandá, which is a type of wood you can’t use anymore because it’s close to being extinct, but it’s incredible for furniture. So those vintage pieces are like a piece of art and are incredibly expensive and rare. Right before he died, they started organizing his archives and finding new furniture designs he drew at the point in his life where he couldn’t produce because he was kind of forgotten for 20 years. So they started finishing his prototypes and selling those. He had two people that worked with him for 20 years and were really close to him. One was his daughter, Veronica, that passed away, and the other, Fernando Mendes. Fernando is a carpenter and designer, and he runs the factory. 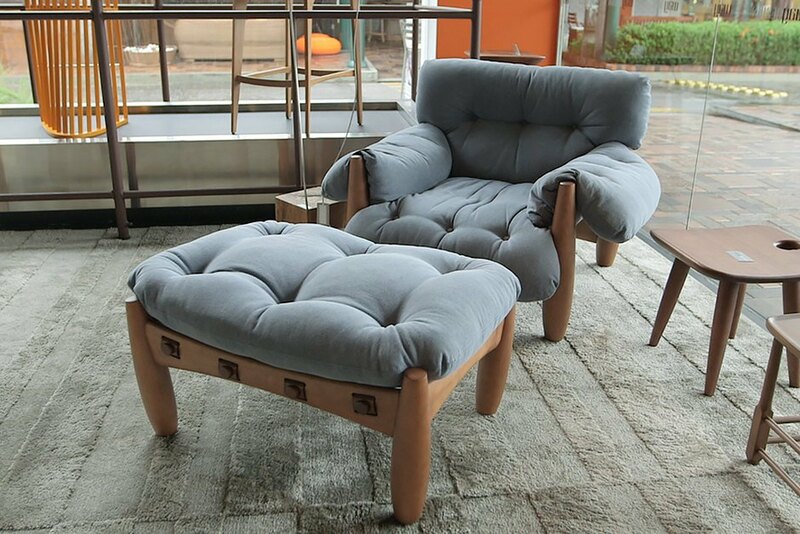 There are two factories that do Sergio’s furniture, one in the south of Brazil, and they do the Mole chair and the easier to produce designs, and the hardest ones, which need to be done by really good carpenters and nearly everything well-crafted by hand, is in Rio. Fernando keeps doing that furniture. We’re doing a crowd-funding campaign to finish the film. Fernando did a Xibo, which was one of his last pieces. He did a one-off version of the Xibo chair with this button which was done by this jeweler just for the campaign. So you can still buy new furniture, it doesn’t have to be secondhand. There is one store in London and New York. In Brazil, there are many stores. You can still buy a lot of his furniture. It’s not cheap. But it’s really incredible. H&F: When you started making the documentary, it seemed like more of a fun project to shoot with him, but has since evolved into a testament of this man’s legacy. How has that shifted the tone of the movie? AZEN: When we started, we just had a coffee and talked about it. I wanted to do a feature documentary, but at first, I started thinking about having him telling his stories because I always loved sitting around and hearing him tell his stories. He was a great storyteller. He could sit and tell stories for hours, and he thinks about that when he makes furniture. So I mostly wanted to get him as a storyteller. Then, we started interviewing other people, people that were really close to him and show more his furniture. It grew a lot, the documentary, and it became more the world need know about this guy’s life, instead of just an 87-year-old man telling stories. People really came out of the woodwork. I think the project started a little more intimate, but it grew a lot, and people started approaching me. News of the documentary started coming out in newspapers, and L Magazine Brazil started talking about it. American Airlines Magazine made a six-page article about Sergio and half-a-page was about this film. So people started giving importance to the film and people approached us to help or co-produce. The project started growing, because Sergio is such an important figure in Rio and for Rio’s history, it was just natural that the project just grew the way it did. Sergio was an uncle that was always there. So I need to get away a little bit from this really personal thing to show his work and him as a really important figure in Brazil.